The Witcher 3: Wild Hunt isn’t just about Geralt going from place to place and hooking up with women as he pursues the story. The war hasn’t just ravaged the countryside, it has helped monster numbers soar. 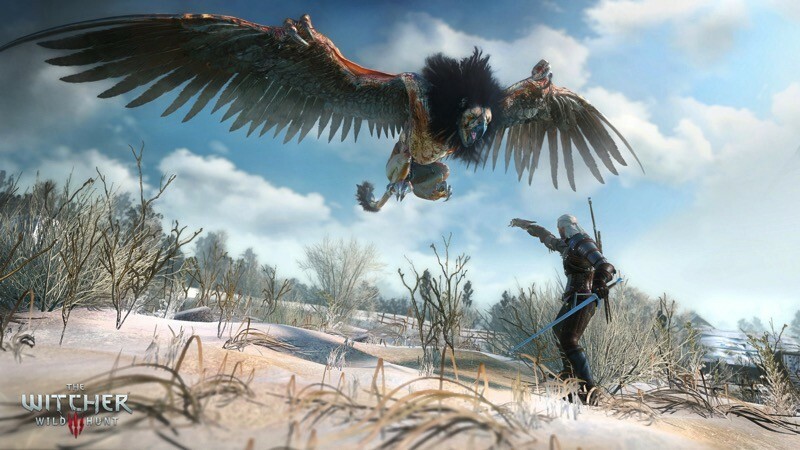 It’s a Witcher’s job to kill monsters, so there’s a lot of work to do. Plus it looks incredible. Follow me to see more. Here is the brand new video showing off gorgeous gameplay. See, it’s not just called The Wild Hunt for fun – it makes sense. Sure, the main hunt is for Ciri, the witcheress and human weapon, but there’re plenty of other things to hunt and kill on your journey. Plus, there’s a ton of other things to do in the game; with so many activities in the open world, you could easily get lost in the journey. I plan to. Now to watch that video again and imagine all the different strategies I’ll need to kill all the things. I love that time of day, weather conditions and nearby environmental aspects can impact on how battle with the monsters goes. All in a day’s work for Gerald, and ridiculously fun gameplay for the rest of us.